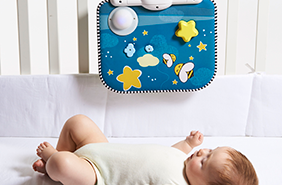 Let baby explore the toy in an independent sitting-up position and continue enjoying the soother as one of baby's bedtime cues. 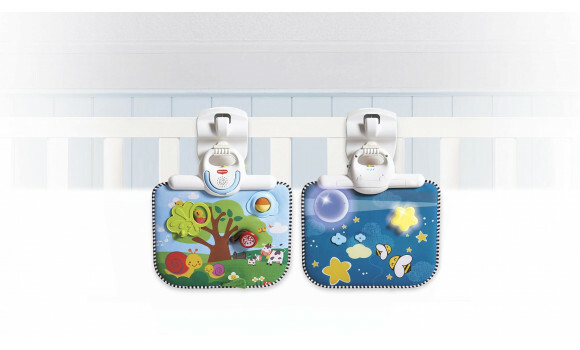 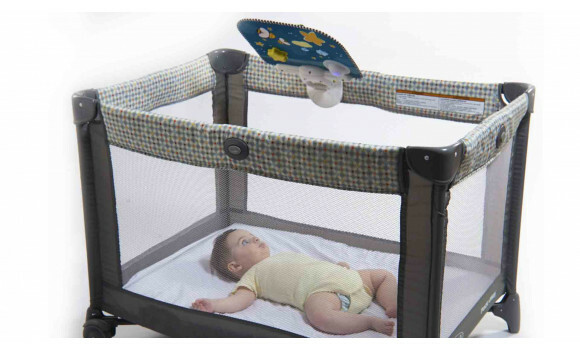 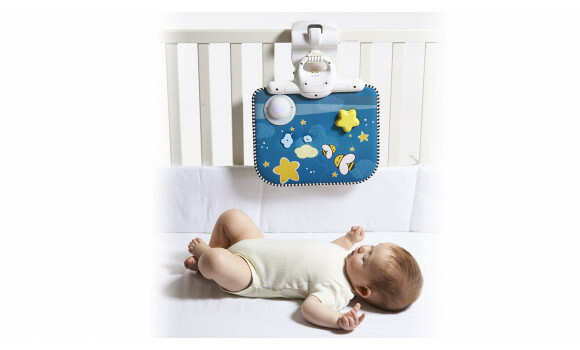 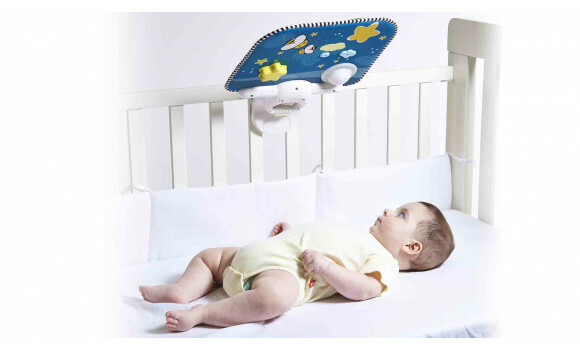 Attach to your newborn baby's crib to help sooth baby and encourage independent downtime. 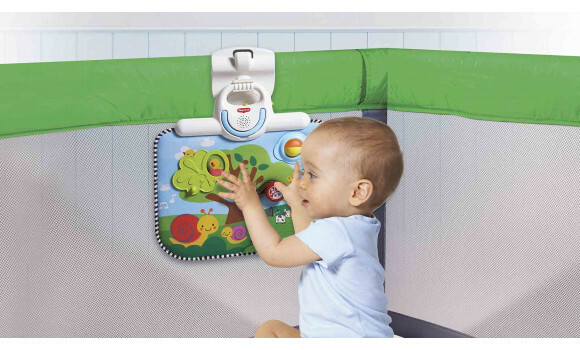 Attach to baby's play yard. 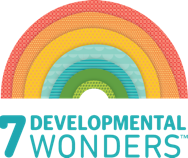 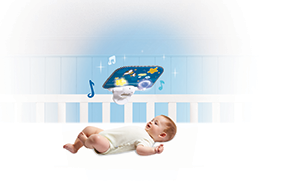 Let baby enjoy and explore independently as she grows and develops. 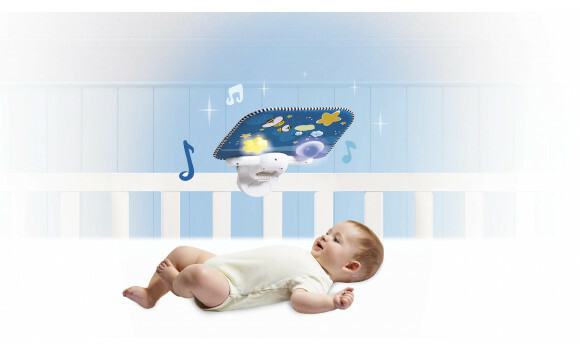 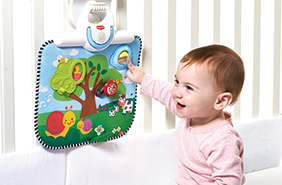 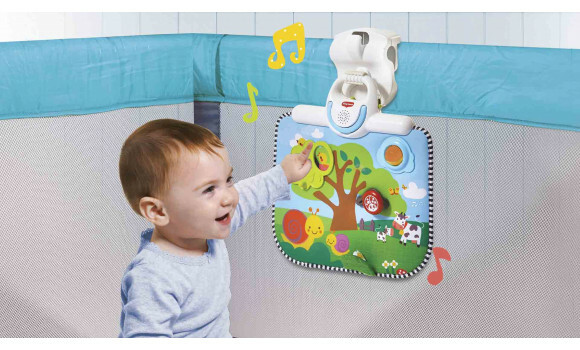 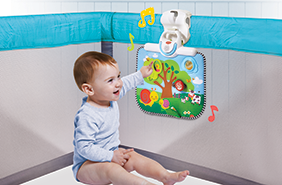 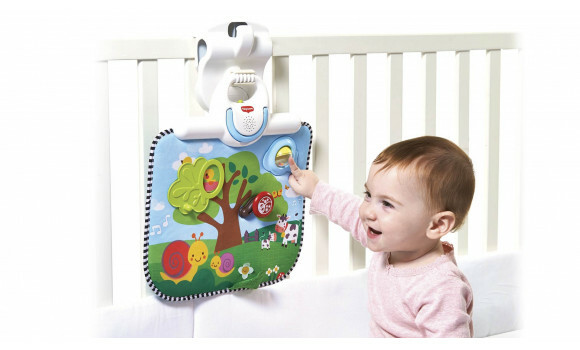 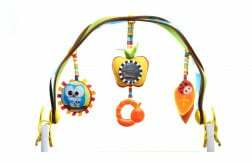 The colorful scenes on both sides, fun music and various tactile features stimulate babies senses.